The moon landing. The Kennedy assassination. “I’m not looking for a man. Let’s start there.” The 2016 election. These are events that define a generation—moments we’ll never forget, nor forget where we were when we learned that they’d happened. Is Tristan Thompson cheating on Khloé Kardashian one of those events? No. Or is it? This TV show says yes. 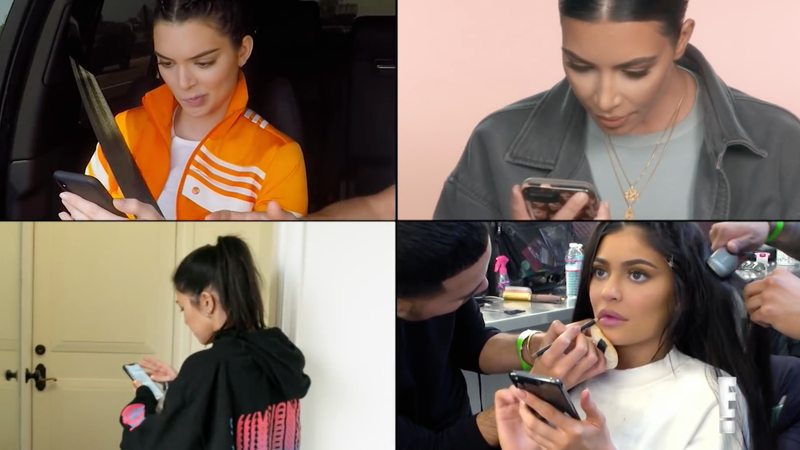 Sunday night’s episode of Keeping Up with the Kardashians documents the Kardashian-Jenner fam and their driver, Scott Disick, learning about the cheating scandal in real time. Or at least it purports to. Purports! Here’s where everyone allegedly was. Kendall was in a car with Scott. Kim was filming a confessional. Kourtney was staring at her phone in a doorway like a normal! lady! Kylie was lost in thought, wondering whether those who view queerness and transness as nouns and those who understand them to be verbs will ever be able to close the seemingly unbridgeable gap that divides their two camps. Khloé was on the other side of this phone. And Kfucking me learned about it while writing this here blog post for Jezebel dot cromb.